Basement Renovation with any character home, there is always a sense of the unknown until you start opening up the walls. This layout was to stay the same, but our main hurdle was turning a two-piece bathroom into a three-piece with limited space to work within. 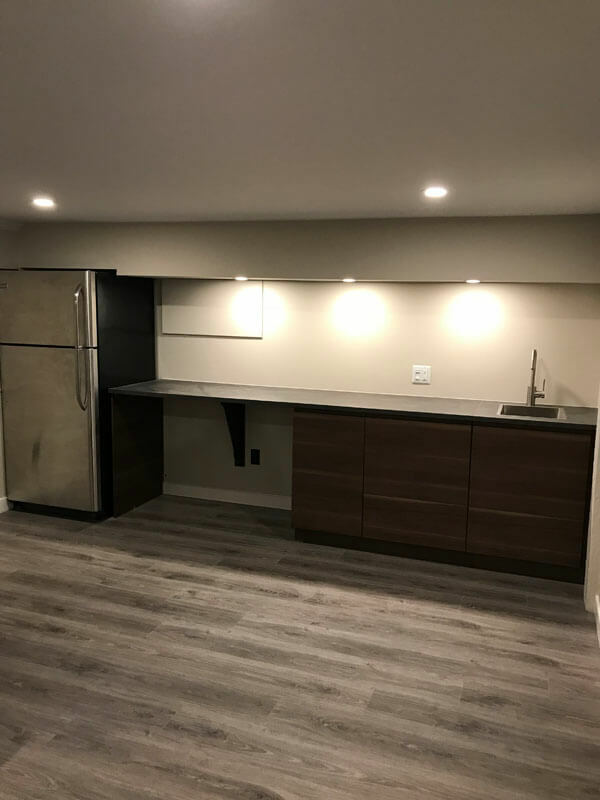 We had several discussions and presented three-floor plans that would satisfy our clients’ needs and utilize each square foot to its capacity. 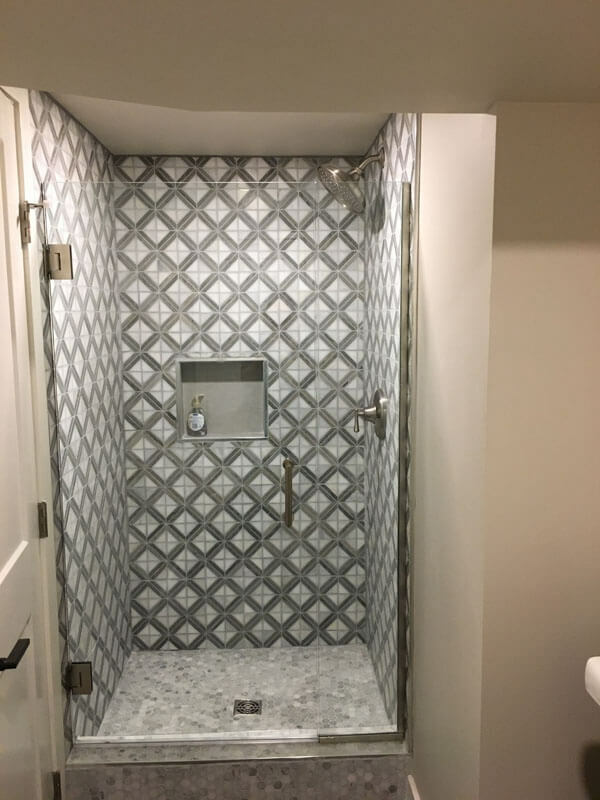 We removed an un-needed closet and added it to the bathroom area allowing for a stand-up shower. 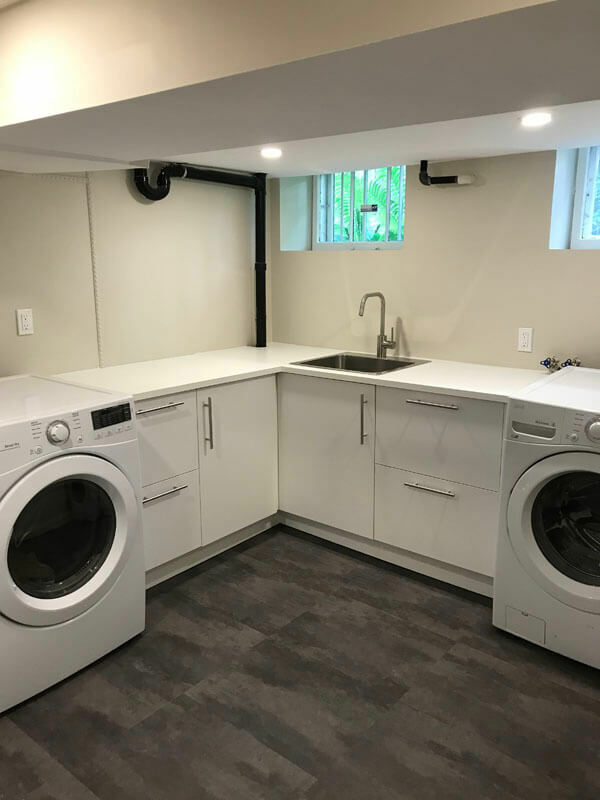 Other work we did was completely changing the laundry room adding new cabinets, lighting, flooring and paint to make it a more livable space to enjoy. 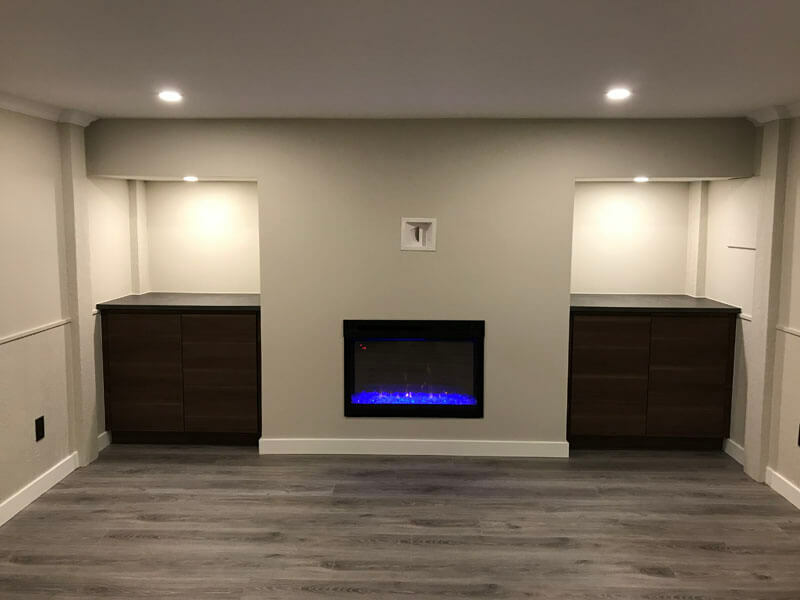 In the rec-room we added a wet bar in the back, LED pot lights, new flooring, electric fireplace and paint. What once was a cold, dim basement is now a welcoming area to entertain your guests.